By restricting the time period during which they could eat, researchers have seen promising results for controlling blood glucose levels in men at risk of type 2 diabetes. Stomach ulcers are common in pigs, like they are in humans. Until recently, the cause of this disease was unclear. Recent research has shown that just a small amount of red and processed meat can cause cancer, but changing your diet is hard. So what’s the best way to lose weight and stick to a healthy diet? The organs in our bodies house stem cells that are necessary to regenerate cells when they become damaged, diseased or too old to function. 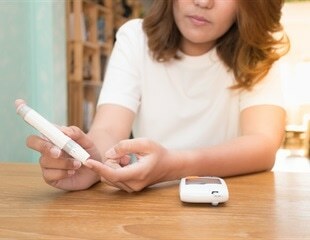 Children of mothers who had gestational diabetes during pregnancy could be at increased risk of type 1 diabetes themselves, according to a new study led by a team at the Research Institute of the McGill University Health Centre that was published in the Canadian Medical Association Journal. Millions of patients do not benefit from taking statins and fail to achieve a cholesterol level low enough to reduce their risk of heart or stroke, report researchers. Researchers have found that drinking adequate amount of water daily can lower the risk of symptoms of a progressive neurodegenerative disease like Parkinson’s. Researchers from Karolinska Institutet have found a protein that is a critical regulator in the development of fatty liver disease in mice, according to a study published in the journal Nature Communications. Michigan State University scientists have linked a common food preservative to an altered immune response that possibly hinders flu vaccines. Listening to the body's cues and acting on these cues, instead of ignoring them, may improve diet success, according to researchers. Using visualization as motivation is a common technique for achieving goals, but consumers who are pursuing health goals such as eating healthy or losing weight should use caution when using perspective-based visualizations, a new study has found. In a study reported in Alimentary Pharmacology & Therapeutics, 44 men with liver injury, attributed to over-the-counter bodybuilding supplements, experienced a uniform and distinctive pattern of signs and symptoms that were often prolonged, difficult to treat, and accompanied by disability and weight loss. Researchers of Kaunas University of Technology and Lithuanian University of Health Sciences developed innovative micronutrient-rich food product for elderly people with swallowing difficulties. For many years, radioactive iodine which emits beta rays has been used for treatment of thyroid cancer. Generally, 5-year survival rates may exceed 90%. A new study from the University of Colorado Anschutz Health and Wellness Center (AHWC) at the CU Anschutz Medical Campus revealed physical activity does more to maintain substantial weight loss than diet. More than two-thirds of adults in the United States are overweight and half of them are trying to lose weight, according to the Centers for Disease Control and Prevention. People with and without cancer are more likely, over time, to use a more potent form of medical marijuana with increasingly higher amounts of tetrahydrocannabinol, a new study shows.